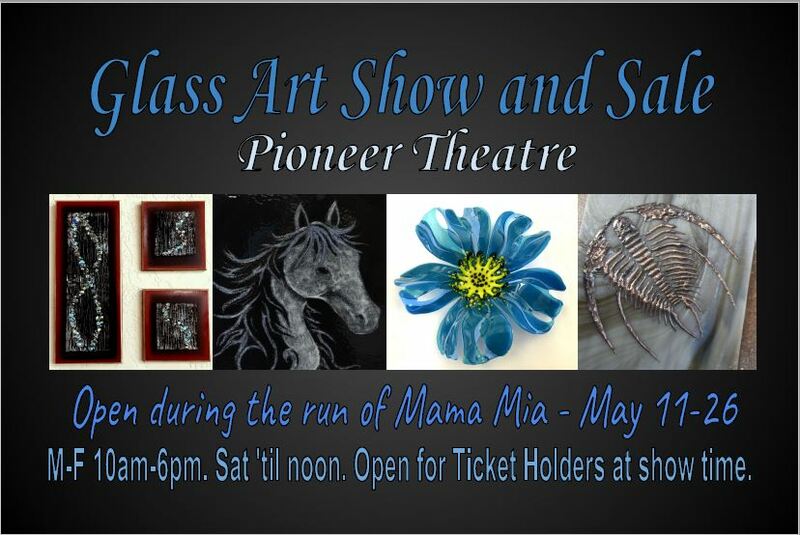 Guild artists will have their work on display at Pioneer Theatre’s Loge Gallery during the run of “Mama Mia” in May. Artists will have a variety of 2-D art, 3-D art, and jewelry available for purchase. Join us in May to see a fabulous play and equally fabulous art! Check out our Shows page for additional information. Glass Art Guild of Utah will have work on display at Pioneer Theatre in May!